Patty's Utopia: Ice Sculptures Every Saturday at the Seattle Center. Ice Sculptures Every Saturday at the Seattle Center. 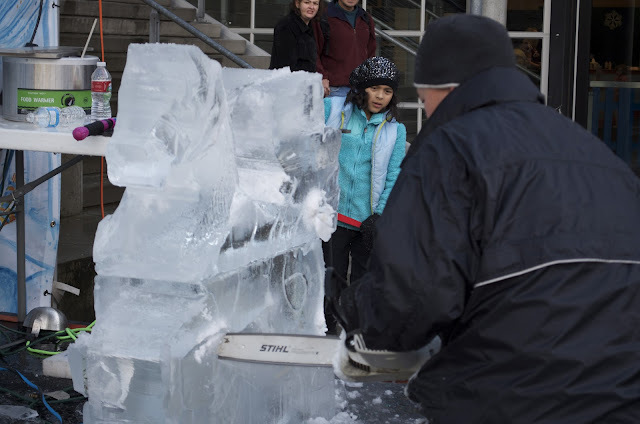 I have always loved the look ice sculptures give to an event, but I have never been present while they are made. 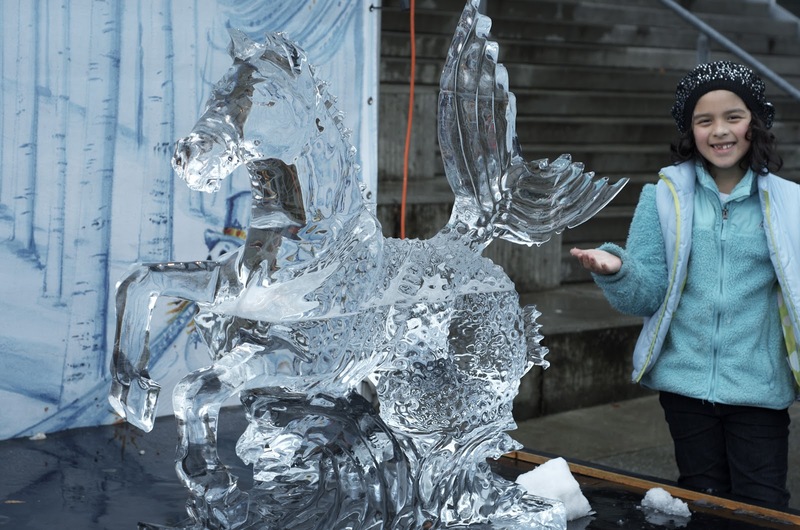 Fortunately, as part of the Seattle Center's Winterfest celebrations, every Saturday from November 24 through December 29, outside the Fisher Pavilion, an ice master will carve a different design on ice! This event is FREE and a lot of fun to watch. The first time I went to witness one of the artists at work, I got there a little late but I got to see the finished work... A fish. 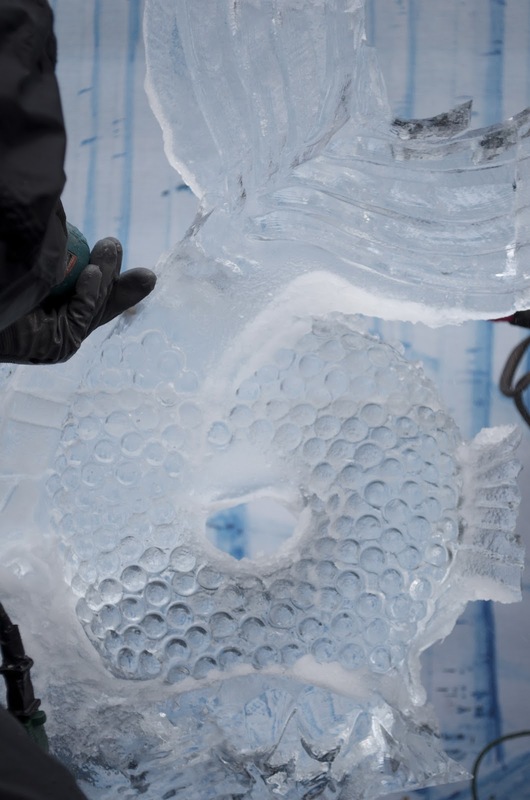 It seems that the artists like to have a water/sea themed because the next week internationally acclaimed, award-winning sculptor Chan Kitburi, created his own version of a Seahorse. It's fascinating to watch these pieces of art come to life because at the very beginning one has no idea of what they will turn out to be. First, I thought that he was making a horse but then... I started wondering about when he would start working on the horse's back legs. As he continued to work on the sculpture, I noticed that he would not give legs to the horse, instead, he gave it a fish tail! It was really amazing to see Mr. Chan Kitburi at work, and now I can't wait to see the next piece of art! To see all the pictures of this event go to: Artist Chan Kitburi at Work.